In yesterday’s blog post we mentioned that the site team had uncovered what appeared to be two pits. These pits were originally dug before the construction of the bank and ditch of Durrington Walls henge; therefore the material of the bank overlies these pits. The site team battled with the wind today with the goal of removing the remainder of the original Neolithic bank material. The chalk band in the photo below shows one of the as yet unexcavated pits, which appears to be a pit with a ramp. 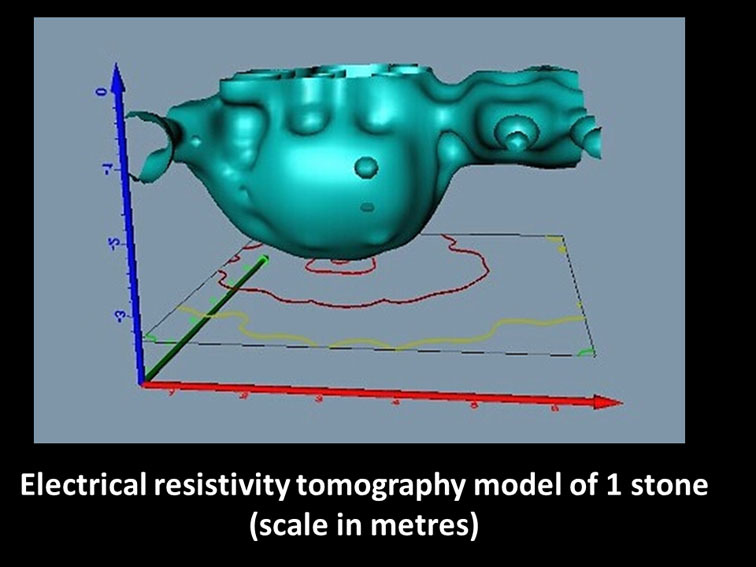 This has shown the accuracy of the electrical resistivity tomography image from the Hidden Landscapes Team where the ‘saucepan-like’ image illustrates a pit and ramp very nicely. By StonehengeNews in Uncategorized on August 4, 2016 .